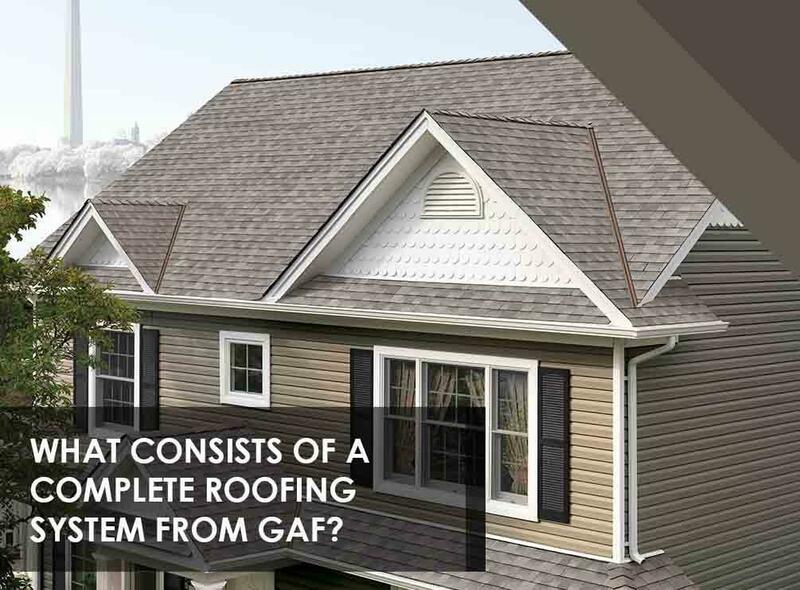 What Consists of a Complete Roofing System From GAF? The overall performance of your roofing system is reliant not just on its installation but also to the individual components that make it up. That’s why you should ensure that your choice of roofing system is complemented by high-quality parts. Fortunately, you can count on GAF Master Elite™ roofer Peak Roofing Contractors to provide you with a complete and reliable roofing system. Here are the components that contribute to its superior performance. We offer a wide selection of asphalt shingle roofing that can stand up to inclement weather conditions and strong winds for a long period. Our popular Timberline® shingle roofs feature Dura Grip™ adhesives that ensure each shingle remains in place despite high winds. They also have StainGuard® protection that will preserve their charm from unpleasant organic growth. They’re also available in an extensive selection of colors and profiles to match your home’s style. Too much heat and moisture in your attic can wear down your roof, making it vulnerable to harsh climate. Cobra attic ventilation can prevent this from happening as it lets excessive heat and moisture escape out of the area. This will help regulate temperature in your attic, prolonging your roofing system’s service life. Wind-driven rain can allow water to penetrate and deteriorate your roof deck. This roof component can keep water from entering, degrading your entire roofing system. This extra layer of protection also allows the shingles to lay flatter, creating a uniform look. Similar to our shingles’ DuraGrip adhesives, this roofing accessory helps prevent shingle blow-off. Our starter strip shingles also help us speed up our roofing installation. GAF offers different types of starter strips, namely, Pro-Start®, WeatherBlocker™, QuickStart®, and StarterMatch™. Eaves, valleys, and rake edges are vulnerable to water entry. Installing a leak barrier can help prevent costly roof leaks. GAF offers StormGuard® and WeatherWatch® to protect your home from water damage. This component also eases installation. Hips and ridges are susceptible to water intrusion and strong winds, requiring the necessary protection to keep them in top shape. With this product, you no longer have to worry about these areas from being compromised. Aside from these benefits, you can have peace of mind knowing that each component is backed by exclusive warranties from GAF. Expect Peak Roofing Contractors to provide you with a complete roofing system that comes with these warranties. Call us today at (703) 745-5153 for more information about our roofing system. We’ll be happy to help homeowners in Northern Virginia and other Virginia areas.